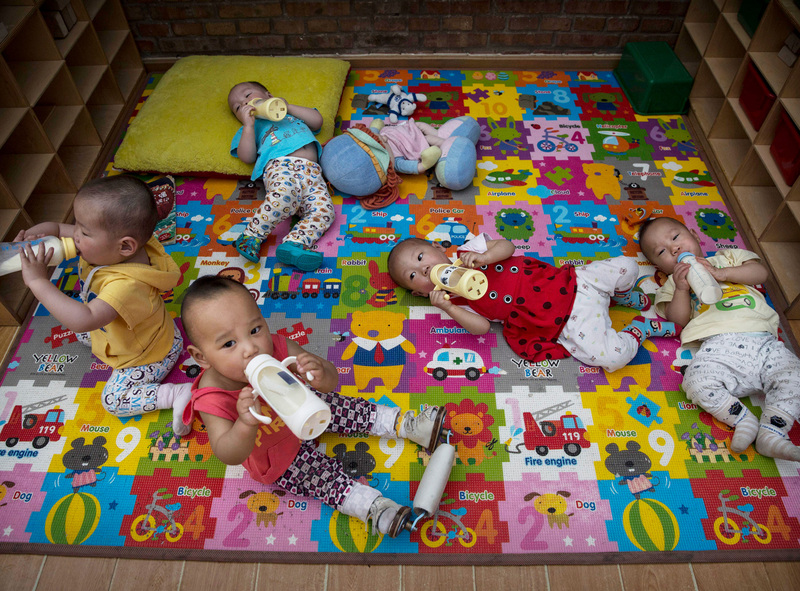 Children at a foster care center in Beijing, April 2, 2014. As a result of applying the Foreign NGO Law on foreign adoption agencies, since July 2017 the Chinese government has prevented foreign adoption agencies from legally filing temporary activities in China, and has effectively shut down at least three major official programs that in the past have helped to facilitate international adoption. When the Foreign NGO Law went into effect in January 2017, it required all foreign NGOs to register under the Ministry of Public Security to legally carry out activities in China. For a period of time, it was unclear how this law would influence international adoptions in China. Both prior to and following implementation of the Foreign NGO Law, international adoption in China was and is governed by the Measures on the Registration of Adoption of Children by Foreigners in the People’s Republic of China. According to Articles 4 and 7 of the Measures, foreign adoption agencies would submit documents to and liaise with Chinese adoption agencies on behalf of adoptive parents. Chinese adoption agencies would then review adoption applications and report back to the provincial-level Ministry of Civil Affairs if the applications were successful. Serving as intermediaries between adoptive parents and Chinese adoption agencies, foreign adoption agencies are essential in the process of international adoption, especially as there are no channels for adoptive parents to directly apply for adoption from China. In the meantime, no foreign NGOs working on international adoption have been able to register under the Foreign NGO Law or have direct contact with Chinese orphanages. Not all foreign adoption agencies, however, are working on adoption. Some of them also work on children’s welfare issues and currently are not handling adoption applications. These agencies have been permitted to register. Ministry of Public Security data show that a handful of children’s services organizations have successfully registered as of June 1, 2018, such as Holt International, Children of Madaifu, Canada-China Children’s Health Foundation, and Save the Children. At the same time, the phrase “adoption” (“lingyang,” “领养” or “shouyang,” “收养”) does not appear in their scopes of work as listed on the Ministry of Public Security website. This further shows that the Chinese government has barred foreign NGOs working on international adoption, but not those working on children welfare, from legally registering in China thus far. Apart from the tightening effects on international adoption, the Foreign NGO Law also led to the centralization of special needs adoption in the hands of the CCCWA. Prior to the Foreign NGO Law, international special needs adoptions in China were administered through the One-to-One Assistance Program. In this program, each foreign adoption agency was paired with an orphanage in China for special needs adoption, so that each agency drew special needs orphans from a single orphanage. Information about special needs children from each orphanage were thus available only to its paired foreign adoption agency. However, the CCCWA announced in July 2017 that as a result of the Foreign NGO Law the CCCWA itself would now manage all Chinese orphans’ information, releasing it in an aggregate database available to all foreign adoption agencies. The immediate impact on foreign adoption agencies was that they had to turn in files of children previously assigned to their particular agencies under the One-to-One Program to the CCCWA. It is unclear whether the CCCWA has released these files to the aggregate database after collecting them from foreign adoption agencies in 2017. Apart from the One-to-One Assistance Program, foreign adoption agencies are also no longer able to administer the Journey of Hope Program and Summer/Winter Hosting Programs in China, which are dedicated to encouraging international adoption of special needs children. The Journey of Hope program, for instance, organized trips for foreign adoption agency representatives to visit special needs and older orphans in China. The program allowed foreign representatives to gather more information about children whose special needs or age had dimmed their prospects for adoption, and then transmit the details of individual cases to prospective adoptive parents abroad. The Hosting Programs, which brought Chinese special needs children to foreign countries for summer or winter camps in hopes of finding them adoptive parents, was also terminated in December 2017. The termination of these programs, however, appeared to be more a formality than a change of state on the ground. Data on foreign temporary activities registered with the Ministry of Public Security shows that foreign adoption agencies had stopped registering adoption-related activities after the CCCWA’s July 2017 announcement. Five adoption-related temporary activities were filed in the first half of 2017, but none after July 2017. The CCCWA does not appear to have publicly announced these changes. Multiple foreign adoption agencies, however, republished the CCCWA announcements on their websites. These organizations include the International Adoption Net, No Hands But Ours, Holt International, The Sparrow Fund, and Barker Adoption Foundation. Information on the U.S. Department of State Bureau of Consular Affairs’ website confirms the authenticity of the announcements. It is worth noting that this is not the first time the Chinese government has tightened criteria for international adoption. In 2006, the Chinese government made a similar announcement that raised eligibility requirements for foreign adoptive parents. The 2006 changes could explain why international adoption from China decreased after 2005. According to data from the U.S. Bureau of Consular Affairs, adoption of Chinese children from the U.S., the country that adopts the largest share of Chinese orphans, decreased almost every year after 2005. The tightening of eligibility requirements in 2017 may have had a similar effect. Another development relevant to international adoption in China is the official relaxation of the One Child Policy in 2015. Eligibility requirements for prospective adoptive parents have long been stricter for Chinese than for foreigners, ever since China opened up for international adoption in 1991. It is widely understood that the Chinese government placed stricter control on domestic adoption to prevent couples from evading the One Child Policy through adoption channels. Having relaxed the One Child Policy in 2015 due to demographic concerns, however, the Chinese government may now have an incentive to prioritize domestic adoptions over international. The CCCWA also announced in June 2017 that foreigners hoping to adopt from China would need to abide by new eligibility requirements, which include restrictions on family size, duration between adoptions, and more. With these new changes to adoption eligibility, foreign adoptive parents now also face a higher hurdle to adopt from China, making it unclear whether domestic adoption in China is still harder than foreign adoption from China. The International Adoption Net, a U.S.-based adoption agency, wrote on its website that more Chinese families are adopting and that fewer Chinese children have been available for international adoption in recent years. This account points toward the same conclusion: regulations and trends in international adoption are changing in ways that give domestic adoption a lot of room to grow in China. The relaxation of the One Child Policy, decreasing international adoption, and new eligibility requirements could all signal a shift in the Chinese government’s attitude towards foreign adoption. How the government chooses to apply the Foreign NGO Law on international adoption agencies is thus important, as it will reflect what kind of role the government wants international adoption to play in China in the years to come.